All our professional applications delivers to our subscribers free websites an applications to help clients track their information. We offer different flavors of client sites to allow you to use them as appropriate, based on how you want to care for that client. You can assign a client to one site and change them later if you want. They are all part of your professional subscription. You can experience what your client will see or add informaiton on behalf of your client, when you log into your professional susbcription and click on the Clients tab. No need to remember each client's password or to log in and out to see what they see. Another great advantage of our technology. Wellness Center: similar to other internet tracking tools. Allows the user to track and see the nutritional facts, caloric burn out and more. Fit Portions: same tracking tools as Wellness Center, but users do not see any nutritional facts or numerical data. It is used when the RD wants to start by teaching portion control only, or when the cient has an eating disorder. Spanish Wellness Cener: allows the RD to do work in English and their clients track or follow diets in Spanish. Wellness Center is used by your clients to track their nutrition, activity and medical information. 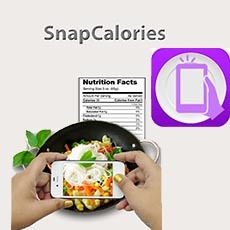 It allows tracking any way the user wants to: searching, writting it down, using a bar code, calling in or taking a photo of the plate using our FREE Snap Calories mobile application. It is included FREE with RD Clinic & Health First subscriptions. You control how your clients use the Wellness Center. They pay YOU not US. Nutrihand does not sell directly to consumers. It is used in private practices for coaching and in between appointments. We are the only application today that allows for all those features FREE OF CHARGE to your clients. FitPortions Is designed to track information without showing the user its nutritional facts. It is to be used ONLY WITH AN RD. The RD can visualize all the nutritional facts, create plans and send them to clients. But they see portions, not nutritional value. It provides Wellness Center featires without showing numbers. It is used to teach users about portions. Very used to treat EATING DISORDERS or to start patients in it and then change them to Wellness Center. It provides the same feature sof Wellness Center but in Spanish. The dietitian uses RD Clinic or Health First in English and they can assign clients to see the infomraiton in Spanish. It breaks the language barriers providing a wonderful service for both, the dietitian and the client. We can also do the same style of portals for any language. Ask us about it: 1 877 688-7442. Download the application FREE from the AppleStore. It includes all the features of Wellness Center and allow users to use the iPhone camera to track their food intake. When users take a photo of a food plate, it is saved to our servers and the dietitian immediately gets notification(optional) that their client phtotographed their plate. RD Clinic automatically uses the data to search on our database to identify the food. When the dietitian access that photo, they can see what the application found, agree with the results, add to it or modify it. All the toosl to search, add information and analyze food intake is available for them to use. Once the dietitan approved the food, it goes to the users Food Log and it adds to the client's intake logs. Unique, useful and great for clients who do not want to spend time using a computer.